Tuesday from 09:30 to 10:30 Dipartimento di Geoscienze - Stanza 03/48 Il docente è disponibile anche in giorni/orari diversi da quelli indicati previo appuntamento telefonico o via e-mail. 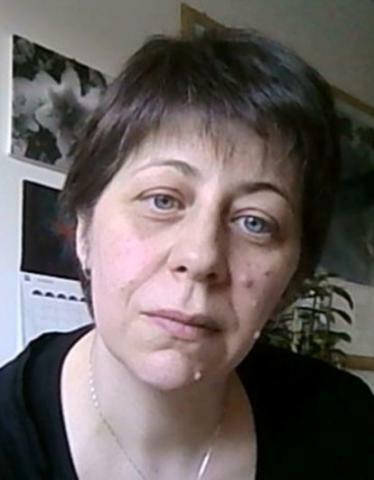 Claudia Agnini received a degree in Geological Sciences in 2003 at the University of Padova by defending a Thesis focused on calcareous nannofossil biostratigraphy at Paleocene-Eocene transition. In 2007, she gained a Ph.D at the University of Padova by discussing on the biochronology and environmental significance of Early Paleogene calcareous nannofossils. In 2007, she won a post doctoral fellowship on the interactions between global change and nannoplankton evolution during Eocene time. Since 2018 She is Coordinator of the Doctoral Course in Earth Sciences. Her research field is micropaleontology and she is specifically interested in the study of calcareous nannofossils. This group includes planktic haptophytes able to produce calcareous scales that have been tested to be particularly useful for dating marine sediments as well as for paleoenviromental reconstructions. Over the past years, she have matured particular interest towards climate variability and, within this context, her research is devoted to Cenozoic calcareous nannofossil biostratigraphy and biochronology, paleoclimatic significance of calcareous nannofossils and paleoenviromental reconstructions of marine sediments coming from on-land sections (Northern Italy) and ODP Sites.